Flash with Carliv's Touch Recovery, TWRP Recovery or MobileUncleTools. j'ai éssayé avec les versions précedentes et j'ontiens le meme resultat. I ssay with previous versions and I ontiens the same result. Works fine and flawless! 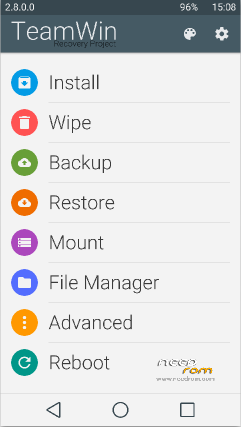 TWRP is the far BETTER recovery then the original droid software. Now i need a failure free firmware for my first generation X6.